Happiest New Year. We’ve just begun our EIGHTH year of bar shows based at The Happy Dog (and third at The Euclid Tavern)! It’s been quite an adventure up until now, and we see the most lovely faces month after month at our shows, both familiar and new. 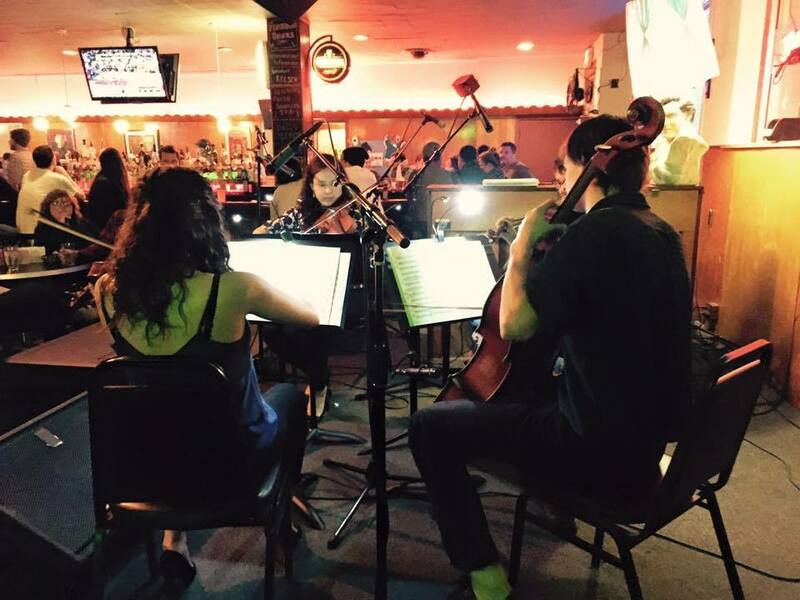 Don’t get me wrong, our bar shows are central to who we are and the mission we serve, which is to take classical music off its pedestal and present it non-traditionally and creatively. But we are about MUCH more than bar shows. And, it’s time to grow. This is not about “outreach” (cue the puking icon: I hate that word). These are concerts for audiences often ignored or forgotten, both musically and more broadly in our society. After considerable contemplation we arrived at a handful of people groups with whom we wanted to share our music: veterans, refugees, recent immigrants, battered/homeless women and children, and the incarcerated. Our first JOIN concert actually took place in the final days of 2017 – it was an afternoon performance for individuals at the Cuyahoga Hills Juvenile Correctional Facility. Myself, cellist Andris Koh, and violinist McKenna Glorioso took our audience on a half-hour journey from the Baroque era to modern day, and threw in a few holiday requests to boot. It went over swimmingly, and we plan on returning again later this year. Later this spring we are planning a special performance for refugee and immigrant clients of The Hope Center, a division of Building Hope In The City. http://buildinghopeinthecity.org/cleveland/the-hope-center/. In the meantime, stick with us and keep supporting what we do. This is still funding-free, which is beginning to feel absurd… but until we figure out the next big steps for Classical Revolution CLE, your faces at our shows and encouragement for our projects is all we really need. Previous Musician Feature: Callisto Quartet! Keep up the great work of making music accessible and visible in Cleveland.